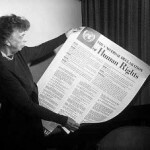 This page summarises the development of International Law and International Recommendations pertaining to Freedom of Thought, Conscience and Religion from the promulgation of the United Nations Universal Declaration of Human Rights in 1948 to the present with particular reference to Blasphemy Law. The development of New Zealand Human Rights Law is included. Reports and recommendations are shown in chronological order with numerous links to the original documents. Click on highlighted text to follow the links to the original documents. A growing number of countries have moved to repeal or abolish their blasphemy laws. Read more. and other international documents promoting freedom of religion and expression. Additionally, blasphemy laws conflict with laws in individual countries promoting freedom of religion and expression. 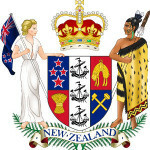 In New Zealand section 123 of the Crimes Act 1961 conflicts with section 13, 14, and 15 of the New Zealand Bill of Rights Act 1990 and section 21 of the New Zealand Human Rights Act 1993. In 1985 the Law Commission in England investigated blasphemy laws and the possibility of extending the existing common law to include other religions but concluded that the blasphemy laws were flawed and could not be extended, and that the blasphemy laws were not needed. After considering all factors, the Law Commission recommended abolition of the blasphemy laws without replacement. The 1987 fatwa against Salman Rushdie produced further interest in blasphemy law prompting the New South Wales Law Reform Commission to look at the question. This commission concluded that the existing law was unnecessary and discriminatory and could not be extended or corrected so recommended abolition. Following the publication of controversial cartoons in Denmark in 2005, other international bodies and experts investigated international law and consistently found that blasphemy laws were discriminatory and unnecessary, did nothing to promote public order and may instead incite hatred and violence, and recommended that all blasphemy laws in individual countries be repealed and abolished and not reintroduced. 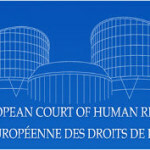 These bodies include the European Court of Human Rights, the Parliamentary Assembly of the Council of Europe in 2006-7 representing 47 member states and 820 million people, the Venice Commission advising the Council of Europe in 2009, and the UN Rabat Plan of Action in 2013. Elimination of all blasphemy laws for the same reasons was supported by UN Special Rapporteur on Freedom of Religion in 2007 and the UN Special Rapporteur on Freedom of Religion or Belief in 2012, 2013, and again with more emphasis in 2015. From 1999 until 2011 the 57 member Organisation of Islamic Cooperation (OIC) pursued a highly divisive proposal to impose de facto blasphemy laws, under the guise of “defamation of religion”, on all countries. Following the passing of the Human Rights Council resolution 16/18 in 2011, the OIC abandoned this proposal and stated its support for Freedom of Religion and support for laws against inciting hatred and violence and damage to property. This brought the OIC into line with the rest of the world. Extracts from various international documents, and New Zealand law appear below. They show how the law has developed over time, why blasphemy laws are regarded as contrary to international law, and a consistent and overwhelming pattern recommending the repeal and abolition of all blasphemy laws. Links have been provided to the original documents. On 10 December 1948, New Zealand was one of the 48 nations that voted to adopt the United Nations Universal Declaration of Human Rights. Two articles are of specific interest. 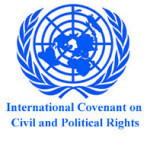 The International Covenant on Civil and Political Rights (ICPPR) is a multilateral treaty adopted by the United Nations General Assembly on 16 December 1966 and in force from 23 March 1976. It is binding on signatory countries. The ICCPR was ratified by New Zealand in December 1976 and binds New Zealand from the 28 March 1979. This Covenant binds signatory countries including New Zealand. General Comment 34 (2011) explains why prohibitions of displays of lack of respect for a religion or other belief system, including blasphemy laws, are incompatible with this Covenant. See below. 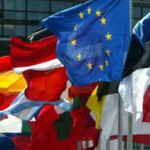 In 1976, the European Court of Human Rights stated that: Freedom of expression constitutes one of the essential foundations of [a democratic] society, one of the basic conditions for its progress and for the development of every man … it is applicable not only to ‘information’ or ‘ideas’ that are favourably received or regarded as inoffensive or as a matter of indifference, but also to those that offend, shock or disturb the State or any sector of the population. Such are the demands of pluralism, tolerance and broadmindedness without which there is no ‘democratic society’. The Court has held this position and repeated it in various judgments since 1976. Statements of this nature abound in the jurisprudence of courts and other judicial bodies around the world. Handyside v. United Kingdom, 7 December 1976, 1 EHRR 737, para. 49. Everyone shall have the right to freedom of thought, conscience and religion. This right shall include freedom to have a religion or whatever belief of his choice, and freedom, either individually or in community with others and in public or private, to manifest his religion or belief in worship, observance, practice and teaching. No one shall be subject to coercion which would impair his freedom to have a religion or belief of his choice. No one shall be subject to discrimination by any State, institution, group of persons, or person on grounds of religion or other beliefs. For the purposes of the present Declaration, the expression “intolerance and discrimination based on religion or belief” means any distinction, exclusion, restriction or preference based on religion or belief and having as its purpose or as its effect nullification or impairment of the recognition, enjoyment or exercise of human rights and fundamental freedoms on an equal basis. All States shall take effective measures to prevent and eliminate discrimination on the grounds of religion or belief in the recognition, exercise and enjoyment of human rights and fundamental freedoms in all fields of civil, economic, political, social and cultural life. Blasphemy and blasphemous libel at common law provide protection only for the Christian religion and the tenets of the Church of England. Where members of society have a multiplicity of faiths or none at all, it is invidious to single out that religion, albeit in England the established religion, for protection. For this reason and for other reasons earlier summarised, the common law cannot remain as it is. There is no one agreed definition of blasphemy and blasphemous libel; their constituent elements have been subject to change through the decisions of the courts over three centuries of history. It would scarcely be practicable, even if it thought desirable, to amend the common law definition by statute. It is now clear that none of the arguments for retaining a law of blasphemy are sufficiently strong to support this view and each of them is outweighed by other considerations which persuade us that a law of blasphemy is not a necessary part of a criminal code. Moreover, we have no doubt that any replacement offence which might be devised would in practice prove to be unacceptably wide in ambit. Our conclusion is therefore that the common law offences of blasphemy and blasphemous libel should be abolished without replacement. by reason only that the provision is inconsistent with any provision of this Bill of Rights. Every person has the right to manifest that person’s religion or belief in worship, observance, practice, or teaching, either individually or in community with others, and either in public or in private. 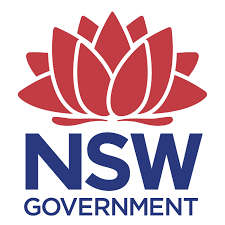 In September 1991, the Attorney General of New South Wales asked the NSW Law Reform Commission to inquire into and report on whether the law relating to the offence of blasphemy was adequate and appropriate to current conditions and any related matter. The Commissions report 74 in 1994 had the following summary, conclusion, and recommendation. 4.32 There are both legal and policy concerns with preserving the existing common law offence of blasphemy. 4.33 Public order is clearly capable of being preserved in New South Wales without the offence of blasphemy, which has not been utilised this century. The general criminal law, including offences relating to incitement and offensive behaviour, covers this area adequately. Further, it is inappropriate for the criminal law to be used to protect an individual’s religious convictions in a secular society, particularly where the adherents of only one faith are protected. The offence curtails freedom of speech, without a sufficiently compelling countervailing right. Whether the offence is capable of adequately educating the community to respect the beliefs of others must be questioned. Finally, it is unclear why religious beliefs merit special protection whereas other beliefs do not. as a common law offence, sentencing is “at large” – that is, without any statutory limits or guidance. 4.82 In Australia, the Gulf War stirred up hatred and hostility against Muslims. However, the way to address such matters is not, in the Commission’s view, by retention or expansion of the blasphemy laws. Rather they should be addressed in the context of determining whether conduct which amounts to the incitement of hatred or violence against a person on the ground of religion should be prohibited. The Commission’s review of the Anti-Discrimination Act 1977 (NSW) is the appropriate forum to consider this matter. The policy concerns which underpin the anti-discrimination legislation will inform such a discussion, and thus the issues can be dealt with in a more cohesive and comprehensive fashion. The common law of blasphemy should be abolished. Freedom of thought and freedom of expression in a democratic society must, however, permit open debate on matters relating to religion and beliefs. The Assembly recalls in this regard its Recommendation 1396 (1999) on religion and democracy. Modern democratic societies are made up of individuals of different creeds and beliefs. Attacks on individuals on grounds of their religion or race cannot be permitted but blasphemy laws should not be used to curtail freedom of expression and thought. Blasphemy has a long history. The Assembly recalls that laws punishing blasphemy and criticism of religious practices and dogmas have often had a negative impact on scientific and social progress. The situation started changing with the Enlightenment, and progressed further towards secularisation. Modern democratic societies tend to be secular and more concerned with individual freedoms. The recent debate about the Danish cartoons raised the question of these two perceptions. 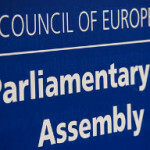 The Assembly resolves to revert to this issue on the basis of a report on legislation relating to blasphemy, religious insults and hate speech against persons on grounds of their religion, after taking stock of the different approaches in Europe, including the application of the European Convention on Human Rights, the reports and recommendations of the European Commission against Racism and Intolerance (ECRI) and of the European Commission for Democracy through Law (the Venice Commission), and the reports of the Council of Europe Commissioner for Human Rights. With regard to blasphemy, religious insults and hate speech against persons on the grounds of their religion, the state is responsible for determining what should count as criminal offences within the limits imposed by the case law of the European Court of Human Rights. In this connection, the Assembly considers that blasphemy, as an insult to a religion, should not be deemed a criminal offence. A distinction should be made between matters relating to moral conscience and those relating to what is lawful, matters which belong to the public domain, and those which belong to the private sphere. Even though today prosecutions in this respect are rare in member states, they are legion in other countries of the world. The Assembly is aware that, in the past, national law and practice concerning blasphemy and other religious offences often reflected the dominant position of particular religions in individual states. In view of the greater diversity of religious beliefs in Europe and the democratic principle of the separation of state and religion, blasphemy laws should be reviewed by the governments and parliaments of the member states. 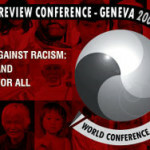 The Assembly notes that under the International Convention on the Elimination of All Forms of Racial Discrimination of the United Nations, signatory parties are obliged to condemn discrimination and take effective measures against it. All member states signatory to this convention must ensure that members of a particular religion are neither privileged nor disadvantaged under blasphemy laws and related offences. 17.2.4. are reviewed in order to decriminalise blasphemy as an insult to a religion. 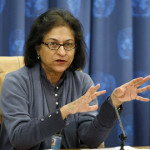 In her last report in July 2007, the UN Special Rapporteur on Freedom of Religion or Belief, Ms Asma Jahangir made interesting observations on blasphemy laws. Ms Jahangir agreed with the Parliamentary Assembly of the Council of Europe, which recommended in 2007 that blasphemy as an insult to religion should be decriminalised. In a report on Elimination of all forms of religious intolerance in August 2007 she reiterated that criminalizing “defamation of religions” can be counterproductive, since it may create an atmosphere of intolerance and fear and may even increase the chances of a backlash. Accusations of “defamation of religions” might stifle legitimate criticism or even research on practices and laws appearing to be in violation of human rights but that are, or are at least perceived to be, sanctioned by religion. In 2009, The Veni ce Commission in a report titled Blasphemy, insult and hatred: finding answers in a democratic society to the Council of Europe recommended that member states should review and decimalise blasphemy laws, and that all such laws be abolished and not reintroduced. In its Recommendation 1805 (2007) on blasphemy, religious insults and hate speech against persons on grounds of their religion, the Parliamentary Assembly of the Council of Europe considers that “national law should only penalise expressions about religious matters which intentionally and severely disturb public order and call for public violence”. Blasphemy is an offence in only a minority of [European] member states (Austria, Denmark, Finland, Greece, Italy, Liechtenstein, the Netherlands, San Marino). It must be noted in this context that there is no single definition of “blasphemy”. The offence of blasphemy is, nowadays, rarely prosecuted in European states. The commission agrees with this view. The commission does not consider it necessary or desirable to create an offence of religious insult (that is, insult to religious feelings) simpliciter, without the element of incitement to hatred as an essential component. Neither does the commission consider it essential to impose criminal sanctions for an insult based on belonging to a particular religion. If a statement or work of art does not qualify as incitement to hatred, then it should not be the object of criminal sanctions. It is true that the boundaries between insult to religious feelings (even blasphemy) and hate speech are easily blurred, so that the dividing line, in an insulting speech, between the expression of ideas and the incitement to hatred is often difficult to identify. This problem, however, should be solved through an appropriate interpretation of the notion of incitement to hatred rather than through the punishment of insult to religious feelings. 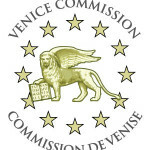 The Venice Commission has examined the European legislation on blasphemy, religious insult and incitement to religious hatred, and has extensively reflected on this matter, including at the international round-table conference on Art and Sacred Beliefs: from Collision to Co-existence, which was held in Athens on 31 January and 1 February 2008. The commission has reached the following conclusions. b. That it is neither necessary nor desirable to create an offence of religious insult (that is, insult to religious feelings) simpliciter, without the element of incitement to hatred as an essential component. c. That the offence of blasphemy should be abolished (which is already the case in most European states) and should not be reintroduced. As concerns the question of to what extent criminal legislation is adequate and/or effective for the purpose of bringing about the appropriate balance between the right to freedom of expression and the right to respect for one’s beliefs, the commission reiterates that, in its view, criminal sanctions are only appropriate in respect of incitement to hatred (unless public order offences are appropriate). Notwithstanding the difficulties with enforcement of criminal legislation in this area, there is a high symbolic value in the pan-European introduction of criminal sanctions against incitement to hatred. It gives strong signals to all parts of society and to all societies that an effective democracy cannot bear behaviours and acts that undermine its core values: pluralism, tolerance, respect for human rights and non-discrimination. The application of legislation against incitement to hatred must be done in a non-discriminatory manner. In the commission’s view, instead, criminal sanctions are inappropriate in respect of insult to religious feelings and, even more so, in respect of blasphemy. Finally, as concerns the question of whether there are alternative options to criminal sanctions, the commission recalls that any legal system provides for other courses of action, which can be used in cases other than incitement to hatred. On 24 March 2011, in a very significant move, the United Nations Human Rights Council unanimously adopted Resolution 16/18. For 12 years, from 1999 until 2010, the Organisation of Islamic Cooperation (OIC) had pursued a highly divisive attempt to use the United Nations to impose an international legal norm restricting speech that defamed religions, particularly Islam. This had been resisted by non-Islamic countries and over successive years support for the OIC proposal had fallen as countries became aware of alternative approaches. Human Rights Resolution 16/18 introduced a new consensus approach that focuses on positive measures to counter religious intolerance and to protect individuals from discrimination or violence, rather than criminalising expression. See: 15 July 2011 the Joint Statement on Combating Intolerance, Discrimination and Violence and US Department of State. See: 19 October 2012 Freedom House – OIC Rebuke of “Defamation of Religions” Welcomed. States parties should put in place effective measures to protect against attacks aimed at silencing those exercising their right to freedom of expression. … Since any restriction on freedom of expression constitutes a serious curtailment of human rights, it is not compatible with the Covenant for a restriction to be enshrined in traditional, religious or other such customary law. 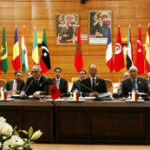 Conclusions and recommendations emanating from the four regional expert workshops organised by OHCHR, in 2011, and adopted by experts in Rabat, Morocco on 5 October 2012. It is often purported that freedom of expression and freedom of religion or belief are in a tense relationship or can even be contradictory. Instead they are mutually dependent and reinforcing. The freedom to exercise or not one’s religion or belief cannot exist if the freedom of expression is not respected as free public discourse depends on respect for the diversity of deep convictions which people may have. Likewise, freedom of expression is essential to creating an environment in which a constructive discussion about religious matters could be held. Indeed, free and critical thinking in open debate is the soundest way to probe whether religious interpretations adhere to, or rather distort the original values that underpin religious belief. At the national level, blasphemy laws are counter-productive, since they may result in the de facto censure of all inter-religious/belief and intra-religious/belief dialogue, debate, and also criticism, most of which could be constructive, healthy and needed. In addition, many of these blasphemy laws afford different levels of protection to different religions and have often proved to be applied in a discriminatory manner. There are numerous examples of persecution of religious minorities or dissenters, but also of atheists and non-theists, as a result of legislation on religious offences or overzealous application of various laws that use a neutral language. Moreover, the right to freedom of religion or belief, as enshrined in relevant international legal standards, does not include the right to have a religion or a belief that is free from criticism or ridicule. States that have blasphemy laws should repeal these as such laws have a stifling impact on the enjoyment of freedom of religion or belief and healthy dialogue and debate about religion. More detail on these reports are available here: Reports of UN Special Rapporteurs. 32. a. iv … Freedom of expression applies online as well as offline… [Instead of resorting to violence or prosecution…] “New forms of media as well as information and communications technology provide those who feel offended by criticism or rejection of their religion or belief with the tools to instantly exercise their right of reply. In any case, the EU will recall, when appropriate, that the right to freedom of religion or belief, as enshrined in relevant international standards, does not include the right to have a religion or a belief that is free from criticism or ridicule. Defend the fact that sharing information about religions or beliefs and engaging in persuasion on these matters is protected under international law, provided that such persuasion is neither coercive nor impairs the freedom of others. Recall at all appropriate occasions that laws that criminalize blasphemy restrict expression concerning religious or other beliefs; that they are often applied so as to persecute, mistreat, or intimidate persons belonging to religious or other minorities, and that they can have a serious inhibiting effect on freedom of expression and on freedom of religion or belief; and recommend the decriminalisation of such offences. Forcefully advocate against the use of the death penalty, physical punishment, or deprivation of liberty as penalties for blasphemy. Recall that international human rights law protects individuals, not Religion or Belief per se. Protecting a religion or belief may not be used to justify or condone a restriction or violation of a human right exercised by individuals alone or in community with others. 18 See UN Human Rights Council resolution 20/8. 19 See paragraph 19 of the conclusions of the Rabat Plan of Action on incitement to hatred, 5 October 2012. 21 Article 18.3 ICCPR. See also General Comments no. 22 and 34. 2. 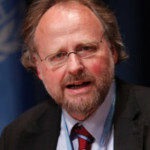 In its resolution 25/12, the Human Rights Council condemned “all forms of violence, intolerance and discrimination based on or in the name of religion or belief, and violations of the freedom of thought, conscience, religion or belief, as well as any advocacy of religious hatred that constitutes incitement to discrimination, hostility or violence, whether it involves the use of print, audiovisual or electronic media or any other means”. Against that background, the present report, in its section II, focuses on preventing violence committed in the name of religion and, in its section III, includes specific recommendations addressed to all relevant stakeholders. 7. … violence in the name of religion also affects followers of the very same religion, possibly also from a majority religion, in whose name such acts are perpetrated. Voices of moderation or critics who actively oppose the abuse of their religion for the justification of violence bear an increased risk of being accused of “betrayal” or “blasphemy” and having retaliatory penalties inflicted upon themselves. 35. … A factor that further increases the likelihood of harassment is anti-blasphemy laws or anti-proselytism laws, which may threaten criminal punishments for vaguely circumscribed “offences”. Countless examples demonstrate that such laws disproportionately affect minorities. Meanwhile, they may encourage self-appointed vigilante groups to commit acts of violent aggression, frequently with direct or indirect support by law enforcement agencies. 42. … Moreover, the State should repeal anti-blasphemy laws, anti-conversion laws and criminal laws that discriminate against certain people according to their religious affiliations or beliefs or criminalize their “dissident” practices. Apart from further increasing the vulnerability of marginalized groups or individuals, these laws may give a pretext to vigilante groups and other perpetrators of hatred for intimidating people and committing acts of violence. 43. In order to operate as a credible guarantor of freedom of religion or belief for everyone, the State should not identify itself exclusively with one particular religion or belief (or one particular type of religions) at the expense of equal treatment of the followers of other faiths [or beliefs]. 94. States should repeal anti-blasphemy laws, anti-conversion laws and any other discriminatory criminal law provisions, including those based on religious laws. More detail on this report is available here: Reports of UN Special Rapporteurs.